Travel to another time and place with the Barnhart Mirror and Dresser set. With simple style, this dresser and mirror will be your go-to furniture when getting ready each morning. Wake up happy every morning, when you get to smile at yourself in this beautiful mirror. 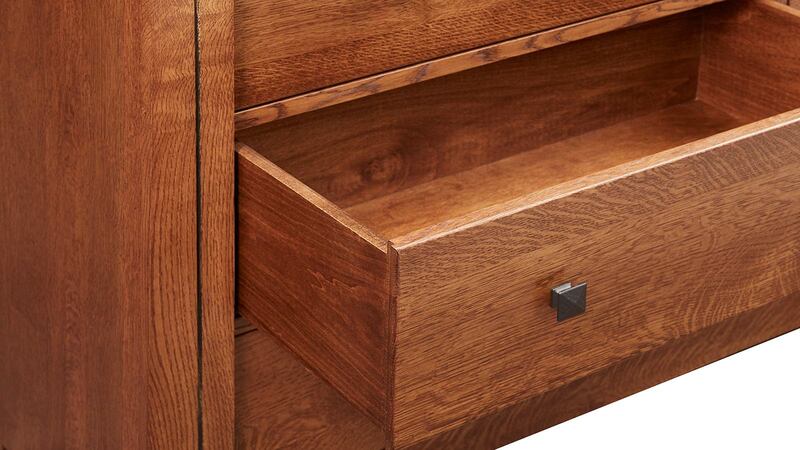 Nine spacious drawers hold all of your essentials, from cozy sweaters to t-shirts and socks. You’ll be able to organize everything into the perfect spot. Made from solid wood and featuring only the highest-quality finish, this dresser and mirror set will be a new favorite in your furniture collection. 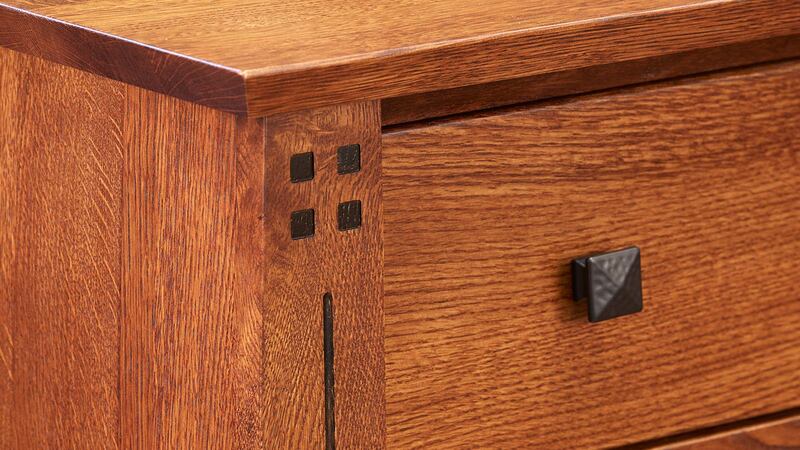 Trust the American-made quality and attention to detail in this dresser’s construction. 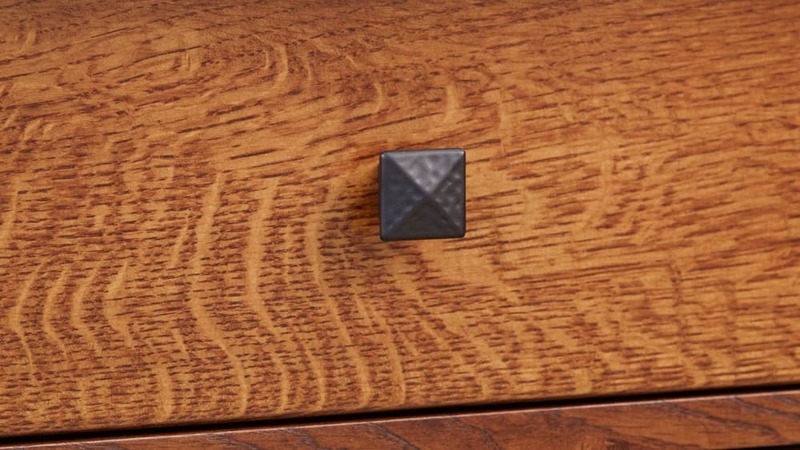 Craftsmen used solid wood to provide the unique look you love. A luscious finish lets the wood grain shine through. Carved details add contrast and visual interest. 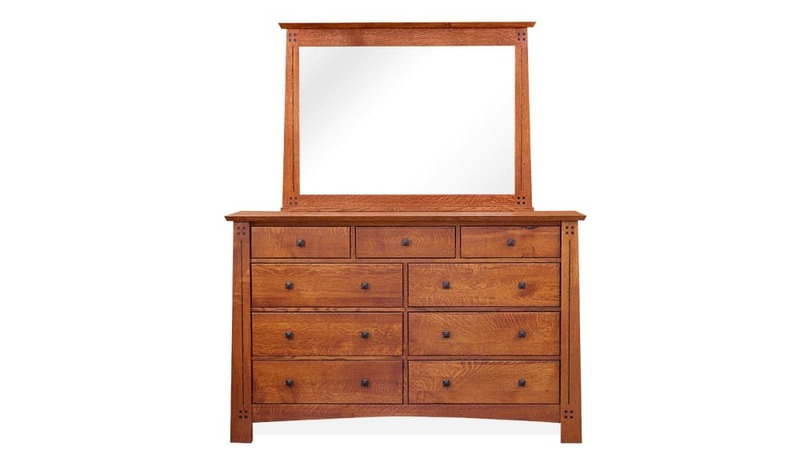 When you invest in a high-quality dresser and mirror set, you want it to be around for years to come. Solid wood guarantees that this set is strong and durable, ready to stand up to years of wear and tear. You can’t go wrong with this combination of fashion and function. 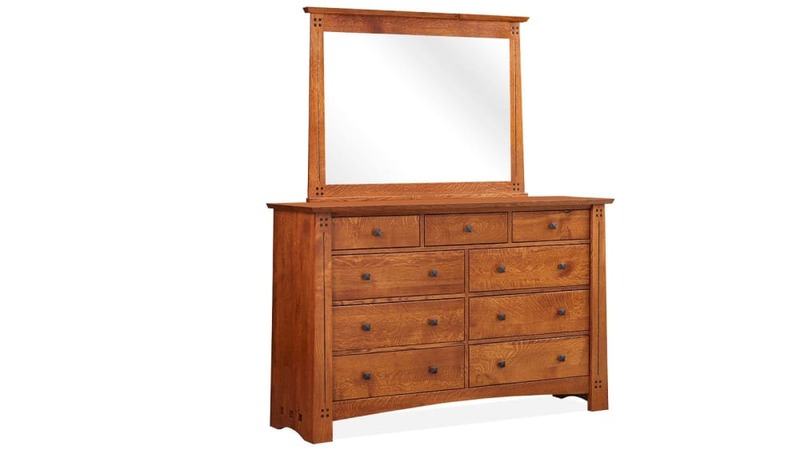 Don’t wait to upgrade your bedroom with this exceptional dresser and mirror combination. With Gallery Furniture’s same-day delivery, order TODAY and you’ll see this set on your doorstep as soon as tonight.